As a marketing executive, you know how important brand compliance is for your organization. It’s not only about getting everyone on board with your marketing plan, it’s also about giving them the tools they need to be successful. And when their success equals your success, everyone wins. That’s where digital marketing compliance software comes in. Your team works hard to create marketing materials that engage customers in different ways, via print, direct mail, digital, and point-of-sale. You want each channel to speak effectively with a singular voice and consistent imagery that builds and sustains your brand’s values. How does that happen? With a brand marketing solution. Here are eight ways marketing compliance software benefits your business. Consistency is the key to successful branding. In fact, if you want to increase your revenue by 23%, get consistent with your brand. About 95% of businesses have brand compliance guidelines, but only one-quarter of them have formal rules that are regularly enforced. With a marketing compliance software solution in place, you have control over the templates, logos, and digital assets for your entire company. The right creative is always available for authorized stakeholders to use. Plus, with built-in brand compliance guidelines and approvals, you ensure that all your marketing materials maintain their brand identity. In some cases, a brand compliance review is in order. Reviewing digital marketing compliance will allow you to examine how you and your stakeholders are representing the brand’s identity. 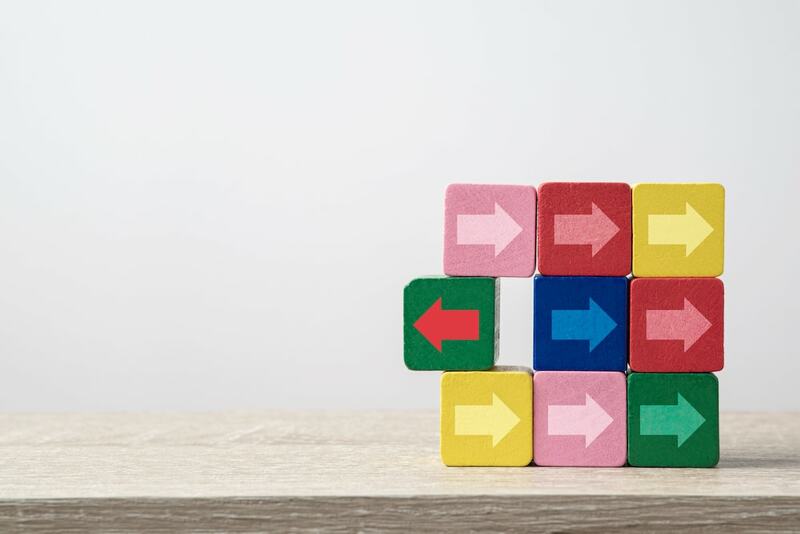 By developing a comprehensive set of guidelines to assess the consistency of your brand, you can be sure it’s properly represented throughout your entire organization. One of the more attractive benefits of digital marketing compliance software is an improved ROI, or return on investment. The bottom line for almost any business is to turn as much of a profit as possible. And marketing compliance software puts you in the best position to do that. You can centralize your brand communications while enabling local marketers to optimize your marketing materials for their individual needs. You also need marketing materials optimized for local customers. Good local marketing will build your brand, and protect the integrity of the brand’s identity. Also, the editing tools within the software reduce print marketing and other costs and shorten production times. So you should experience a much faster time to market. And your brand compliance guidelines are protected, so you don’t need to invest your time designing, editing, and managing them. That’s less oversight. Digital marketing compliance software not only saves time, it also saves money in your marketing budget. Finally, the software’s built-in tracking data shows exactly what’s working and what isn’t, so you can make better marketing decisions in the future. The latest data is always just a click away. When local marketers have the ability to create their own marketing collateral, it makes your entire team more efficient. There’s no longer a need for every local marketer to have graphic design skills. Or to hire someone local that does. You won’t need your graphic designer to step in with help for every local marketer that needs a revised brochure or poster, either. Imagine the time savings. With digital marketing compliance software, customizable templates already exist, so this allows your designers to focus on other things. They could be developing seasonal marketing campaign collateral or a downloadable infographic to generate more leads. That’s time well spent. That’s productivity. Your distributed team can quickly respond to their local marketing needs without asking for the same materials over and over. Pre-made, customizable, corporate-approved marketing templates allow them to promote their special events, location-specific details, or special offers quickly and easily. These methods are all under scrutiny because of the potential disconnect between leadership and local branches. Marketing compliance software allows local franchises to take part in a campaign with a variety of individual location requirements and capabilities. For example, each location can edit their point-of-sale materials to reflect individual prices, language, and local variations in a few simple steps without having any knowledge of graphic design software. It also gives local marketers a sense of ownership. It empowers them with the marketing assets they need while keeping local collateral brand compliant. Furthermore, it simplifies the entire marketing process and generates improved response rates. That’s something for everyone in the organization to be happy about. 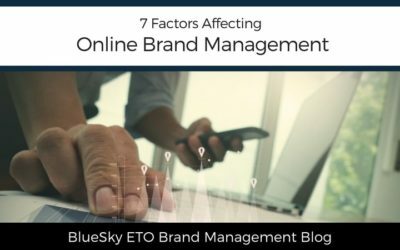 BlueSky ETO can help by designing custom-built marketing compliance software with brand-approved assets and locally customizable marketing templates. Every location gets the marketing materials they want (and need) while maintaining brand compliance. Schedule a free consultation to learn how digital marketing compliance software can help your marketing efforts. Marketing compliance software affords considerable time savings. You can cut the time that’s spent searching through your emails or file folders for approved images when the right image is just a few clicks away. Jobs that used to take days are now accomplished in a matter of minutes. Also, digital marketing compliance software can integrate with your existing production services and print vendors. If you don’t have a print vendor, check out our print partner, MSP, whose in-house print division includes continuous forms, inserts, and envelopes, to name a few of the possibilities. If you have requirements beyond their equipment specifications, vendor alliances provide exceptional services to meet every customer’s needs. A one-stop shop with total production coordination allows for faster production times. As your business grows, you can easily add new locations and users. Then, as authorized stakeholders, they can develop their own collateral, so your design team isn’t overwhelmed with repeated requests for the same marketing materials. You can also take advantage of automated marketing production solutions that build your campaign based on triggered events. A pre-determined combination of templates, creative assets, business rules, and reporting work together to form a robust and engaging campaign. When you reduce your development times and streamline your production, you eliminate errors. This creates less waste through digital, print-on-demand solutions. Plus, local marketers aren’t stuck waiting for marketing materials they need or wasting their marketing dollars on displays that don’t work for their stores—displays that sometimes end up getting thrown in the trash. Instead, each location can edit their own point-of-sale materials to reflect individual prices, language, and local variations in a few easy steps, even without any graphic design software experience. When you respond more quickly to market needs and opportunities, you gain a competitive edge. 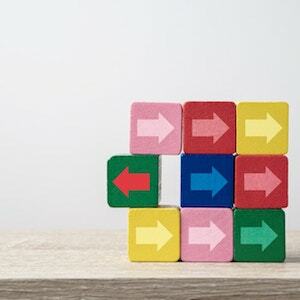 In the marketing world, it’s frequently referred to as “improved time to market.” Some argue this first-mover advantage, saying it’s overrated, but research shows the first entrant can gain a competitive advantage through the control of resources. It depends on the circumstances and the industry. When a company believes they have a great new idea or product, they will move quickly to get the “first-mover” advantage and gain market share. For instance, according to an EvaluatePharma study, first entrants in the pharmaceutical industry, on average, achieve a higher market share a full 10 years after their launch. Being the first to enter a market brings opportunities, but they only turn into advantages if they’re taken advantage of. Otherwise, the copycats will reap the benefits. Also, because marketing compliance software is scalable, you’ll always stay a step ahead of your competition no matter how much you change. Brand compliance is important. It doesn’t matter what marketing role you hold. Whether you have a franchise, or you’re a distributed brand marketer, or you work at a marketing agency. Or whatever industry you’re involved in: financial services, hospitality, retail, or non-profit (just to name a few). You need marketing compliance software to help you achieve consistency with your brand—and success. In the process, you’ll be increasing productivity and empowering local marketers to help themselves. You’ll also enjoy faster production times, improved scalability, you’ll be reducing marketing waste, and ultimately, you’ll see an improved marketing ROI. BlueSky ETO can help by designing a software solution specifically for your organization. Schedule a free consultation to learn how marketing compliance software can help your marketing efforts. Sustain your brand's values and improve brand compliance. Digital marketing compliance software is the answer to improved marketing ROI. Understanding the software/tools available to you and keeping up to date on new developments seems like a good idea to me. I would never think to use software. I like the fact that it helps give your company an edge over the competition. I will have to look into this! I will definitely check this out. It’s difficult to get the word out about your business especially if just starting out. You have compiled some really amazing and helpful points here. Consistency and marketing the right way and on right channels is the way to go. Compliance within marketing is definitely something many with a marketing and advertising background take for granted, but as you mentioned if you follow the rules it can really benefit you in the long run. The benefits of a marketing compliance software is incredible. HAving the convenience of premade templates for any project is especially helpful! I’m not into marketing so I won’t pretend to understand everything, although I found many pieces that taught me information I needed. Thank-you! Well, marketing a brand is not as easy as it seems and you need all the help you can get. that is where these software come in handy. Thanks for this neat post. This is some really awesome information about marketing compliance. It is definitely not something you think about all the time but is so important. Brand compliance and consistency is a crucial step for the business. This software sounds absolutely interesting and It will surely offer convenience. I have just started my company and I’m still learning. I think these are really going to help me. Thanks for all the advice! I am so with you on consistency I do think it is a crucial step to business. This software sounds really interesting indeed and I am sure will help so many people out. This was very informative and gives me ways to make my business better. Very interesting software. SO much great info! Thanks for sharing. This is awesome for elavating your work. KEeping the latest tech around the office is sure to produce gains. I totally agree with you, Brand compliancy and consistency are essential for any business growth. I need to check out this software. Compliance is so important. It’s good to know there is software that can help with that. I need to read more into this topic. I was completely unaware until I read your blog article on it. This was a really informative read. Thanks for sharing so much information on branding and marketing! I handle a lot of marketing for my boss and this is really helpful! I will have her check into the software! Looks like getting a good software package will really help with marketing. I bet a lot of people could use this for their business. this is such an interesting software. and how it can help you with marketing. and how you can reduce your developing time, it is really great.